When I interview students and ask them about IDENTITY values, they are often under the impression that they have a fixed starting value (i.e. SEED) and increment (i.e. IDENTITY values go from 1, 2, 3, 4, 5… and so on). It might come as a surprise to many that the customary definition of IDENTITY (1,1) is used for consistency purposes only. Simply defining a column as IDENTITY would cause the database engine to assume a default value of 1 for the seed and identity. The script below shows this by not specifying anything for the seed & increment values when defining the IDENTITY column. As can be seen from the results shown above, the database engine used default values of 1 for both seed & increment. Now, let us attempt a similar experiment but with a seed value of 10 and an increment value of 5. As can be seen from the results shown above, the identity columns worked perfectly fine with seed and increment values other than 1. The only limitation that this approach might end up with is the limited range of allowed values. For example, if the seed is kept at 1000, the column can accommodate an equivalent number of lesser records before the max. value for the given data-type is reached. As shown by the experiments above, it is not necessary for any application to use the default values of IDENTITY columns – they can be set to values acceptable by the business and domain rules applicable to the application. 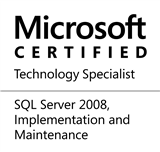 This entry was posted in #SQLServer, Blog, Imported from BeyondRelational and tagged #Identity, #SQLServer, #TSQL, DBA, Development, Myths, Series, Tips on June 6, 2013 by nakulvachhrajani. @Bala Krishna: Thanks! Glad you liked it. Why would you have seed and increment available if you couldn’t set them? This isn’t a myth, it is just a lack of knowledge/understanding. One look at books online will give you the answer. As for this article and me. If u have’t set the seed and increment values then it will take by default (1,1). Or if you want to set your own values then you can…(5,5). @Chris: The myth that I have seen many developers carry is that identity values always have a seed/increment value of 1 – it’s the most common implementation, but not necessarily true. One may encounter systems where the seed & identity values are other than 1 which was the point of the post.